Published November 29, 2012 at 1502 × 1106 in When a ‘tache was for life, not just for Movember. Thanks for the info Chris – we wern’t sure about the front row, so that’s interesting. 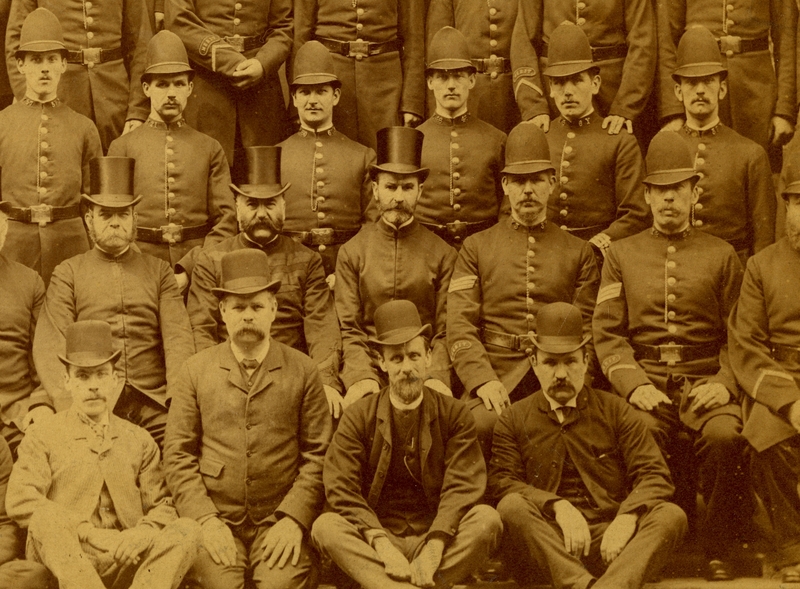 The third man from the left on the bottom row is my ancestor Detective Inspector Denham. I have a photocopy of a collection of 13 miniature photographs of senior men in the York Police Force, most with names. I think that it either came from a request that I sent to the York City Archives or York Castle Museum. I am not sure of the year that it was taken.